A mountain man’s “possibles” bag and two powder horns. In the days of the mountain man, a “possibles bag” held everything that could possibly be needed for the day: black powder, powder measurer, flint and steel, lead balls and patch, a patch knife, and a skinning knife, as well as other personal items. 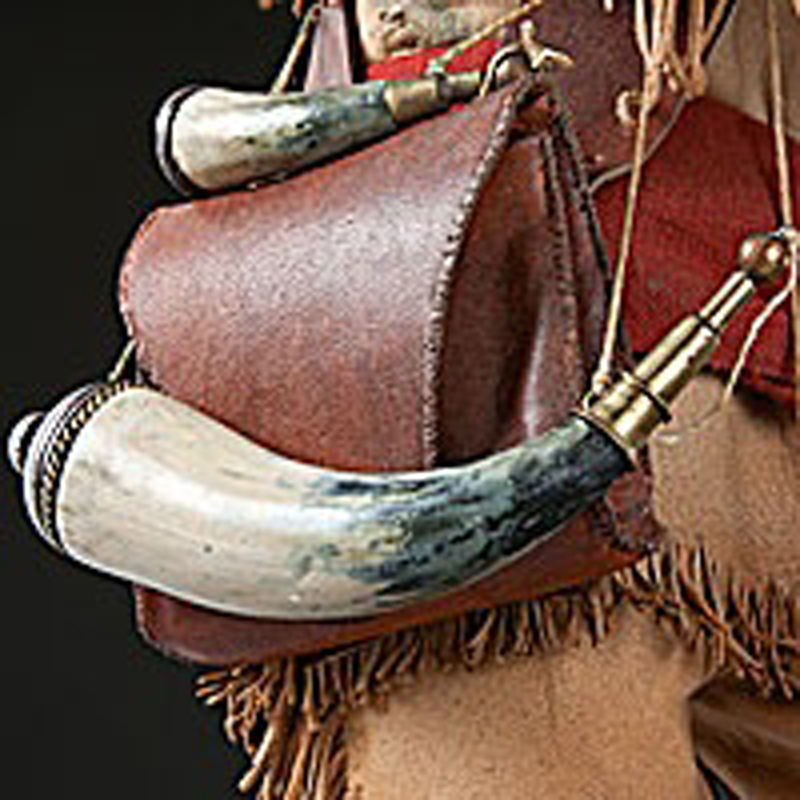 The horn on top of the bag is the priming horn for a Flintlock rifle, while the larger horn below would contain the main gunpowder that was loaded down the barrel. Learn more about the mountain man’s possible bag.